The beekeeping industry in Nova Scotia consists of both honey bees for the production of honey products and for pollinations services. The honey bee industry makes a real contribution to the Nova Scotia agricultural economy, which far exceeds the value added through the production of honey and related products. The economic value of the honey bee pollination service has an enormous impact on bästa spelsajten the success of many agricultural crops, in particular the blueberry, apple and cranberry industries. Currently, there are approximately 225 beekeepers operating in the region of 19,000 honey bee hives in Nova Scotia. Strong historical industry/government partnerships and cooperation have allowed Nova Scotia to remain one of the few beekeeping areas in North America to successfully delay the incursion of pests and diseases that have devastated the industry in other regions. 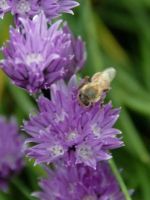 The Nova Scotia Beekeepers Association (NSBA) sees bee health as the number one and most critical issue facing the industry, and is committed to an aggressive proactive approach in the management of the pests and diseases affecting bee health in this province. The NSBA has undertaken this strategic planning initiative to help the industry better plan and prepare for the future and to ensure that the honey bee industry in Nova Scotia is a healthy, strong, and viable industry that can successfully grow into the future.